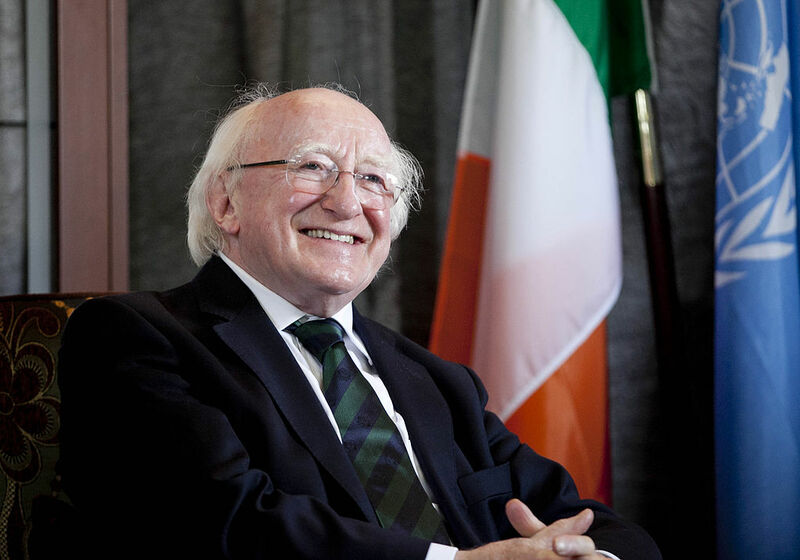 Michael D. Higgins made headlines back in July when lambasting the proliferation of betting companies advertising their services at sporting events. The octogenarian President received almost universal agreement from the Irish commentariat. How unfortunate then to see the statesman ensconced in the hustle and bustle of Ballybrit during the Galway Races, surrounded by relentless and impulsive gambling. Higgins’ sudden volte – face was not the product of conscious hypocrisy, but rather a symbol of the nation’s ambiguous attitude to gambling and sport. Surely he could not have failed to recognise the irony of his words and subsequent behaviour. I am sure the President knows that a day out at the gee gees is not the equivalent to betting a mortgage repayment on a netball match held on a beach in Madagascar. The horse racing industry always seems to get a pass, yet this so called sport – which involves consistent animal cruelty and excessive alcohol – is permitted to cloak itself in an aristocratic veneer. ‘The sport of kings’, as the pompous misnomer goes, would die as an industry if the gambling element were to be outlawed. Remove the Tote hatches and the gombeen bookmakers from Ballybrit and you are left with a deserted haybarn. So, when Higgins speaks of outlawing betting behemoths advertising their wares at sporting events, clearly the target is actual sports such as soccer, rugby and boxing. The President is right to be concerned. In 2016, Irish people lost 2.1 billion euros due to gambling, the third largest figure per capita globally. Various sports stars have confessed to extreme compulsive gambling addictions in recent years, while numerous high – profile cases have emerged in the courts. Gambling will always produce victims on various scales of losses, but the more salient element of the business is to note its almost exclusively male environment. One of Ireland’s most prominent gambling figures is JP McManus, a heroic figure of admiration amongst thousands of betting Irishmen, who rose from humble bookmaker to the don of Irish horseracing. The actual odds of living a productive fulfilled life while consistently gambling are equivalent to winning the EuroMillions, yet the dopamine feedback loop attraction of gambling is perhaps lost on its dependents. From the track – suited students slumped in the betting shops in Eyre Square, to the thronged slot machines of Salthill, Irish people find some margin of solace in losing money while chasing the impossible. Why not campaign for an end to gambling itself? Why stop at banning posters and shady marketing ploys? Why not close every bookmaker in Ireland and unplug access to online gambling services? What Higgins proposes is a band – aid fix. It is ludicrous now to suggest separating gambling from sport, just as it would be to outlaw alcohol at sporting or music events. The fundamental strategy for curbing society’s self – destructive addictions is through education at early development, allied with an emphasis on personal autonomy and responsibility.